Dioxins are a group of chemically-related compounds that are persistent environmental pollutants. Dioxins are found throughout the world in the environment and they accumulate in the food chain, mainly in the fatty tissue of animals. More than 90% of human exposure is through food, mainly meat and dairy products, fish and shellfish. Many national authorities have programmes in place to monitor the food supply. Dioxins are highly toxic and can cause reproductive and developmental problems, damage the immune system, interfere with hormones and also cause cancer. Due to the omnipresence of dioxins, all people have background exposure, which is not expected to affect human health. However, due to the highly toxic potential of this class of compounds, efforts need to be undertaken to reduce current background exposure. Prevention or reduction of human exposure is best done via source-directed measures, i.e. strict control of industrial processes to reduce formation of dioxins as much as possible. Dioxins are environmental pollutants. They have the dubious distinction of belonging to the “dirty dozen” – a group of dangerous chemicals known as persistent organic pollutants. Dioxins are of concern because of their highly toxic potential. Experiments have shown they affect a number of organs and systems. Once dioxins have entered the body, they endure a long time because of their chemical stability and their ability to be absorbed by fat tissue, where they are then stored in the body. Their half-life in the body is estimated to be seven to eleven years. In the environment, dioxins tend to accumulate in the food chain. The higher in the animal food chain one goes, the higher the concentration of dioxins. The chemical name for dioxin is: 2,3,7,8- tetrachlorodibenzo para dioxin (TCDD). The name “dioxins” is often used for the family of structurally and chemically related polychlorinated dibenzo para dioxins (PCDDs) and polychlorinated dibenzofurans (PCDFs). Certain dioxin-like polychlorinated biphenyls (PCBs) with similar toxic properties are also included under the term “dioxins”. Some 419 types of dioxin-related compounds have been identified but only about 30 of these are considered to have significant toxicity, with TCDD being the most toxic. Dioxins are mainly by products of industrial processes but can also result from natural processes, such as volcanic eruptions and forest fires. Dioxins are unwanted by products of a wide range of manufacturing processes including smelting, chlorine bleaching of paper pulp and the manufacturing of some herbicides and pesticides. In terms of dioxin release into the environment, uncontrolled waste incinerators (solid waste and hospital waste) are often the worst culprits, due to incomplete burning. Technology is available that allows for controlled waste incineration with low emissions. Although formation of dioxins is local, environmental distribution is global. Dioxins are found throughout the world in the environment. The highest levels of these compounds are found in some soils, sediments and food, especially dairy products, meat, fish and shellfish. Very low levels are found in plants, water and air. Extensive stores of PCB-based waste industrial oils, many with high levels of PCDFs, exist throughout the world. Long-term storage and improper disposal of this material may result in dioxin release into the environment and the contamination of human and animal food supplies. PCB-based waste is not easily disposed of without contamination of the environment and human populations. Such material needs to be treated as hazardous waste and is best destroyed by high temperature incineration. Many countries monitor their food supply for dioxins. This has led to early detection of contamination and has often prevented impact on a larger scale. One example is the detection of increased dioxin levels in milk in 2004 in the Netherlands, traced to a clay used in the production of the animal feed. In another incident, elevated dioxin levels were detected in animal feed in the Netherlands in 2006 and the source was identified as contaminated fat used in the production of the feed. Some dioxin contamination events have been more significant, with broader implications in many countries. In late 2008, Ireland recalled many tons of pork meat and pork products when up to 200 times more dioxins than the safe limit were detected in samples of pork. This finding led to one of the largest food recalls related to a chemical contamination. Risk assessments performed by Ireland indicated no public health concern. The contamination was traced back to contaminated feed. In July 2007, the European Commission issued a health warning to its Member States after high levels of dioxins were detected in a food additive – guar gum – used as thickener in small quantities in meat, dairy, dessert or delicatessen products. The source was traced to guar gum from India that was contaminated with pentachlorophenol (PCP), a pesticide no longer in use. PCP contains dioxins as contamination. 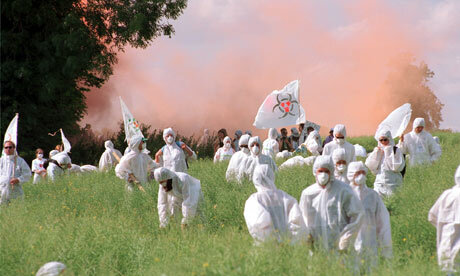 In 1999, high levels of dioxins were found in poultry and eggs from Belgium. Subsequently, dioxin-contaminated animal-based food (poultry, eggs, pork), were detected in several other countries. The cause was traced to animal feed contaminated with illegally disposed PCB-based waste industrial oil. In March 1998, high levels of dioxins in milk sold in Germany were traced to citrus pulp pellets used as animal feed exported from Brazil. The investigation resulted in a ban on all citrus pulp imports to the EU from Brazil. Another case of dioxin contamination of food occurred in the United States of America in 1997. Chickens, eggs, and catfish were contaminated with dioxins when a tainted ingredient (bentonite clay, sometimes called “ball clay”) was used in the manufacture of animal feed. The contaminated clay was traced to a bentonite mine. As there was no evidence that hazardous waste was buried at the mine, investigators speculate that the source of dioxins may be natural, perhaps due to a prehistoric forest fire. Large amounts of dioxins were released in a serious accident at a chemical factory in Seveso, Italy, in 1976. A cloud of toxic chemicals, including 2,3,7,8-Tetrachlorodibenzo-p-dioxin, or TCDD, was released into the air and eventually contaminated an area of 15 square kilometres where 37 000 people lived. Extensive studies in the affected population are continuing to determine the long-term human health effects from this incident. These investigations, however, are hampered by the lack of appropriate exposure assessments. A minor increase in certain cancers and effects on reproduction have been detected and are being further investigated. Possible effects on the children of exposed people are currently being studied. TCDD has also been extensively studied for health effects linked to its presence as a contaminant in some batches of the herbicide Agent Orange, which was used as a defoliant during the Vietnam War. A link to certain types of cancers and also to diabetes is still being investigated. Earlier incidents of food contamination have been reported in other parts of the world. Although all countries can be affected, most contamination cases have been reported in industrialized countries where adequate food contamination monitoring, greater awareness of the hazard and better regulatory controls are available for the detection of dioxin problems. Short-term exposure of humans to high levels of dioxins may result in skin lesions, such as chloracne and patchy darkening of the skin, and altered liver function. Long-term exposure is linked to impairment of the immune system, the developing nervous system, the endocrine system and reproductive functions. Chronic exposure of animals to dioxins has resulted in several types of cancer. TCDD was evaluated by the WHO’s International Agency for Research on Cancer (IARC) in 1997. Based on animal data and on human epidemiology data, TCDD was classified by IARC as a “known human carcinogen”. However, TCDD does not affect genetic material and there is a level of exposure below which cancer risk would be negligible. Due to the omnipresence of dioxins, all people have background exposure and a certain level of dioxins in the body, leading to the so-called body burden. Current normal background exposure is not expected to affect human health on average. However, due to the high toxic potential of this class of compounds, efforts need to be undertaken to reduce current background exposure.